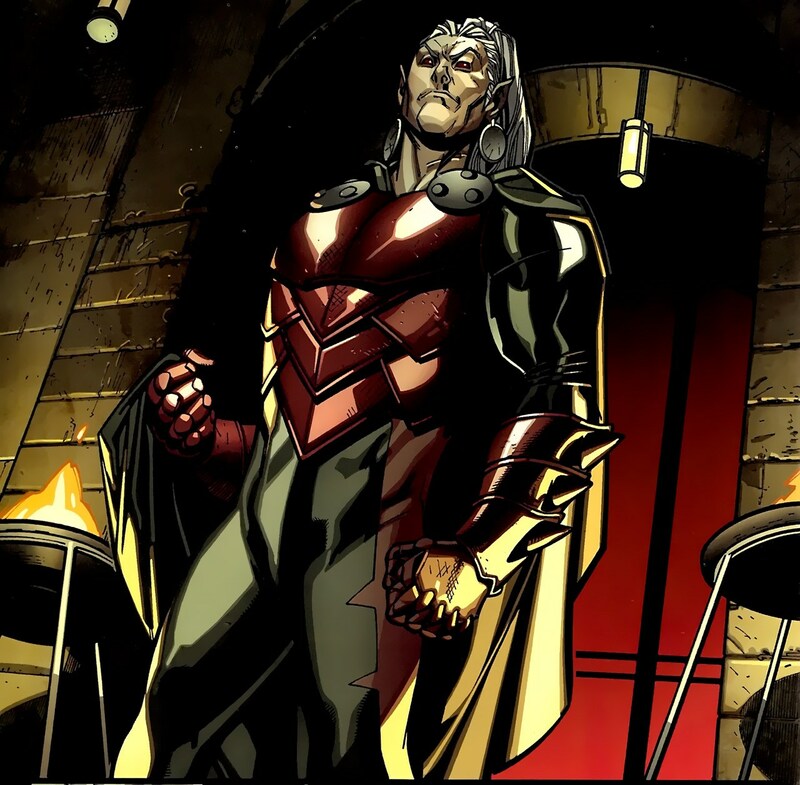 Lord Dracula has a long history in the Marvel Universe. Whether facing off against Dr Strange, seeking a new companion in Storm, or hunting down the daywalker Blade, Dracula is a force to be reckoned with. 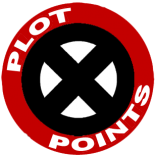 Dracula is a major threat and a danger to the entire Marvel Universe. What trouble is he cooking up and can your heroes stand against his dark might? That’s for your table to find out and as always, we love to hear how you use him in play. 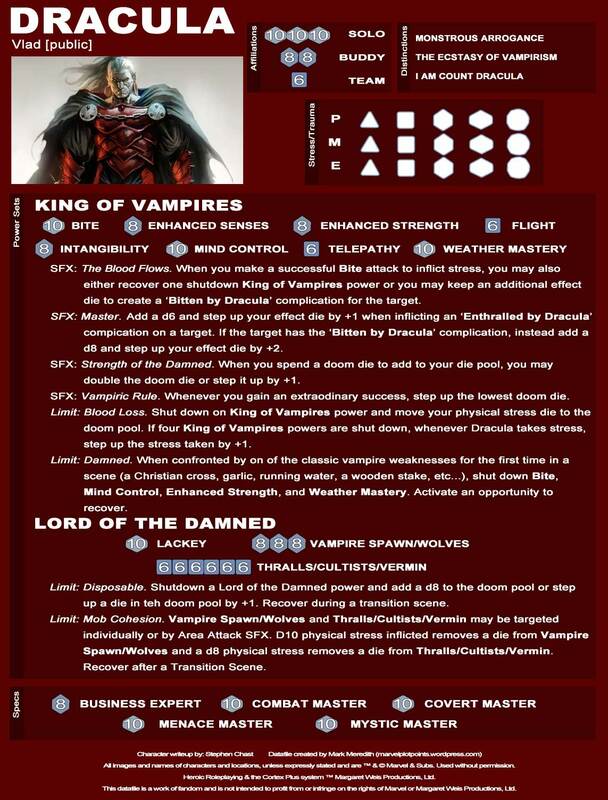 This version of the king of Vampires comes from Stephen Chast of Hunter’s Haven and his work with the Marvel Heroic RPG. He has a bunch of actual plays of Marvel Heroic that are worth your time. I (Joe) might be biased since I was one of his players. This entry was posted on October 31, 2015 by stroupjr in Datafiles.